Adorable plan 2 at Somerset offering over 1,700 sq. ft. with 3 bedrooms and 2 bathrooms located on a large corner lot. New paint, new tiling flooring throughout, ceiling fans, window coverings, and built-ins with mosaic tiling and lighting. Attached garage has also been painted and has new coating on floor. No monthly HOA so there are no restrictions for your investors out there looking for rental income property. 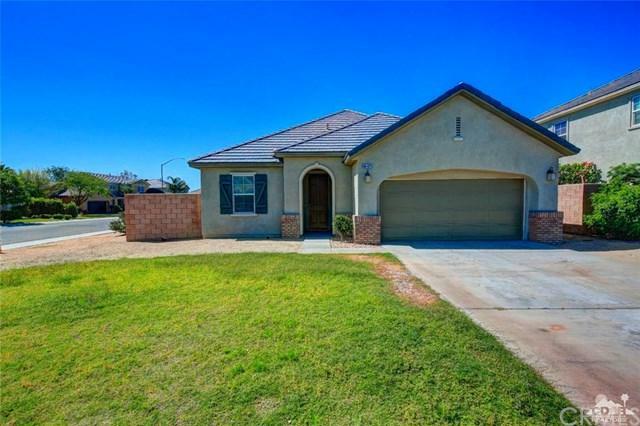 With the Coachella Music Festival just down the street, this little gem could be a great investment! Sold by Shaugna Schmidt of Homesmart Professionals.